A whole house water treatment system from RainSoft can provide a comprehensive solution to any issues present in your home’s water supply. A leader in the home water treatment industry, RainSoft has been providing advanced water treatment solutions to homeowners around the world since 1953. We provide a wide range of products designed to address virtually any kind of impurity or contaminant, and we’ll tailor your system to best suit your home’s water supply. If you’ve been experiencing any issues with your home’s water, our technicians are only a short phone call away. When you contact us, we’ll work with you to schedule a complimentary in-home water test, which will identify any impurities in your home’s water. Based on the results of this test, our technician will then be able to recommend which of our house water treatment options will best meet your needs. Water conditioner system – These products, which are also known as water softeners, address the negative effects of hard water by removing the calcium and magnesium ions that cause it. Our home water conditioners can provide welcome relief from a variety of issues, including calcium and lime scale buildup, dry skin and hair, and spotty dishes. Whole house water filter – These filtration systems are capable of removing a variety of problematic contaminants, including chlorine, chloramines, fluoride, iron, and sulfur. 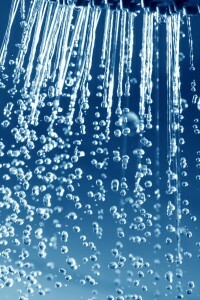 They install conveniently out of sight, and, as their name implies, can treat the entire water supply of your home. Drinking water system – Our drinking water systems install in your basement or under your kitchen sink and remove any sediments or minerals that cause your home’s drinking water to have unwanted tastes or smells. No matter which of these systems you require, you can feel confident in the knowledge that all of our house water treatment products are Tested and Certified by the Water Quality Association, ensuring that your new system will perform exactly as advertised. For additional information about any of our house water treatment systems, contact your local authorized RainSoft dealer today.